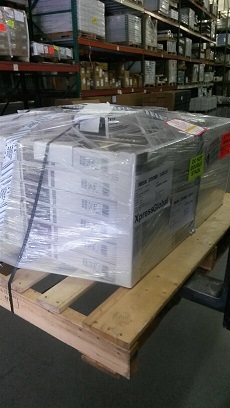 We take great care to package your shipment so that it does not get damaged in transit. 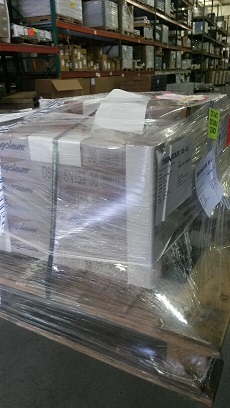 When shipping via a freight carrier each order will be placed on a pallet, (for anything other than roll goods) protective cardboard corners will cover all exposed edges (except for carpet tile orders), the product will be secured to the pallet using black strapping, then wrapped with several layers of shrink wrap, and finally finished with blue and white tampering tape. Trim/molding pieces will be delivered in a separate tube not physically attached to your pallet. 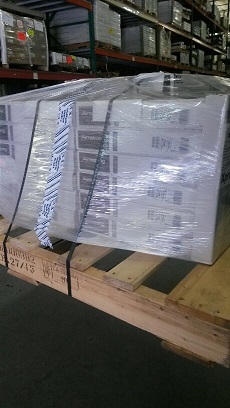 FedEx ground shipments also receive the protective cardboard corners on all exposed edges. Below are example pictures of what you should expect your shipment to look like when delivered to you. - Remember offloading is your responsibility. 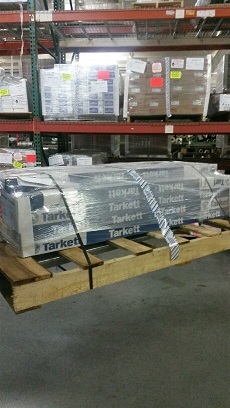 Depending on the size of the pallet/roll you may need anywhere from 2-5 people without the risk of damage or injury. 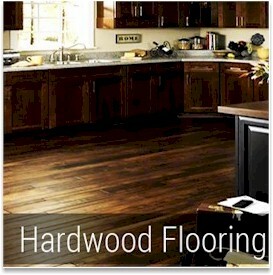 Please keep in mind that carpet tends to be very heavy and generally hard to handle. - Keep in mind that these are tractor trailers and they are limited in the places that they can access. If your residence is deemed inaccessible, then you may be asked to meet the driver at another location to receive your shipment. - Inspect the pallet/roll for visible damage. - Verify quantity and account for all items. - If there is any damage, concerns, or missing items, be sure to make note of it on the receiving documents prior to signing for your shipment. - Call us at 800-964-3381 and ask for the customer care department before the driver leaves. - In the event there is damage do not refuse the shipment. We can usually replace damaged or missing items quickly if noted on the receiving documents. - If you have a 3rd party receive and sign for your shipment, you are responsible for making sure they are aware of the above guidelines. Someone must be present to sign for and accept delivery. If you find any damage after opening your shipment, please contact us at 800-548-2706 and ask for the customer care department. 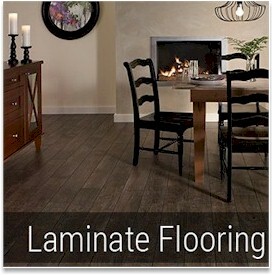 These are examples of laminate shipments. These are examples of hardwood shipments. 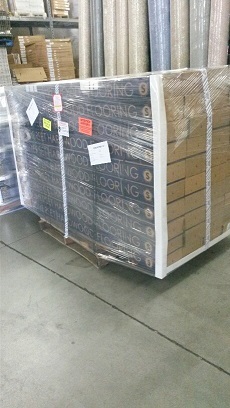 These are examples of vinyl tile shipments. 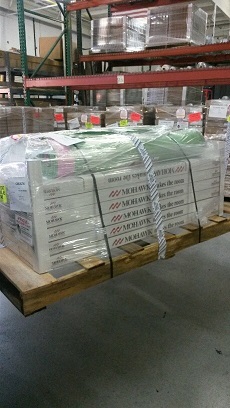 This is an example of a carpet tile shipment. This is an example of a tube containing trim pieces.